I promised the next batch wouldn’t be late, and well. I lied. Sick kids really throws a wrench into just about everything. I actually had to just look this book up with my tried and true YouTube method of unattainable books. We had this on loan from the library for awhile, but it was Mr. Meags that read the book to Peanut, and for some reason, she refused to let me read it to her. She wanted to skip to the last page, and that was the only part of the story she was willing to admit existed. There’s an entertaining stop-motion animation if you are so inclined. Basically, a bear is walking along and asking several animals he comes across if anyone has seen his hat. Later on, he realizes that one of the animals, a rabbit, HAS seen his hat, and lied about it. So basically, he goes and eats the rabbit. Then a squirrel asks if he has seen a rabbit wearing a hat, and he says “No, don’t ask me any more questions!” Apparently, the bear eating the rabbit was a bit much for Peanut. This book is the first I’ve noticed that has a New York Times book review. So it must be special. It even spawned a meme. This was a favorite. It has a simple rhyme that is kind of melodic to read, which lots of repetition. Peanut requested it a lot. Each time the King and Queen invite the narrator for tea, or lunch, or whatever, he asks to bring a friend, and it is always a different animal. Peanut liked to point out the animals and name them when prompted. 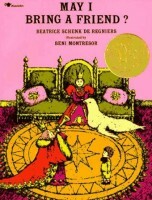 At the end, the narrator invites the King and Queen to the zoo to meet his “friends.” It’s very charming. 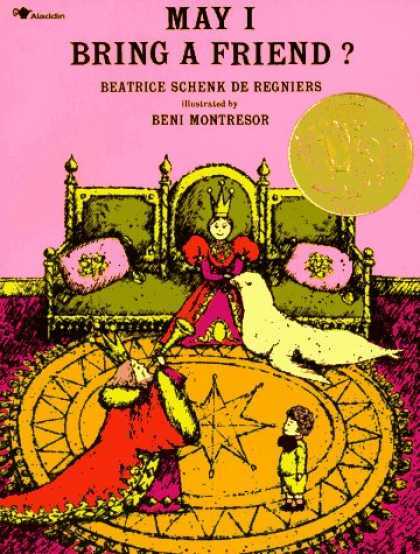 The author of this book also worked with Maurice Sendak, and wrote a few books under a psuedonym. Writing was a second career for her, as she was a social worker for the US and in a Yugoslav camp. 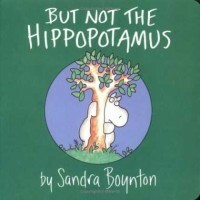 This is one of my favorite Sandra Boynton books. We have many of her board books, as they are great for small children. Peanut is almost 4 and was not as enthralled with this book as younger kids might be, but it was still good. Peanut’s little sister, here to be known as Sweatpea, was marginally interested, but as she hasn’t quite hit one year yet, so all in good time. 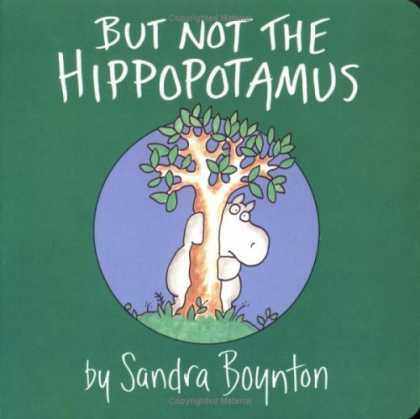 The story is about animals doing fun things, but the hippopotamus is continually left out. Near the end, the animals all come and ask the hippo to join them, but now the armadillo is left out. 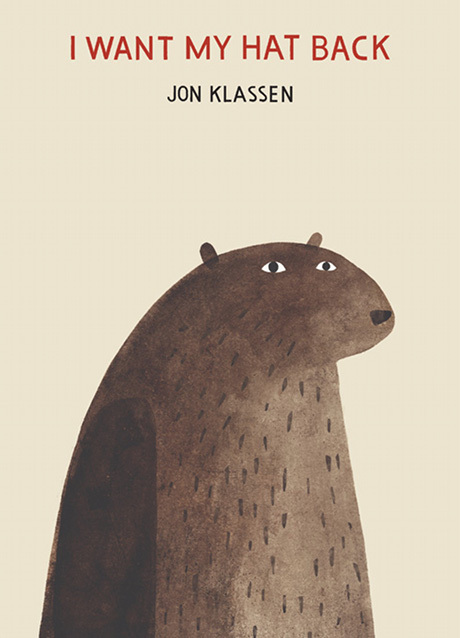 It’s cute, and rhyming, and the illustrations are in that Boynton cutesy style. The book is an older one, published in 1982, but continues to be in print. Spoiler alert – we will be seeing more of Boynton. I had seen this one frequently in libraries on display and when I worked at Barnes & Noble, but I had never flipped through it before. Peanut seemed to like it okay, although it didn’t really hit home for her until we saw some bats in a habitat at the zoo. It kind of clicked for her then. 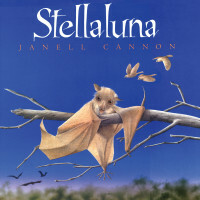 But the story is cute, about a baby fruit bat that gets separated from its mother and falls into a birds nest. Stellaluna tries to fit into the nest life with the other birds, but she finds it difficult. 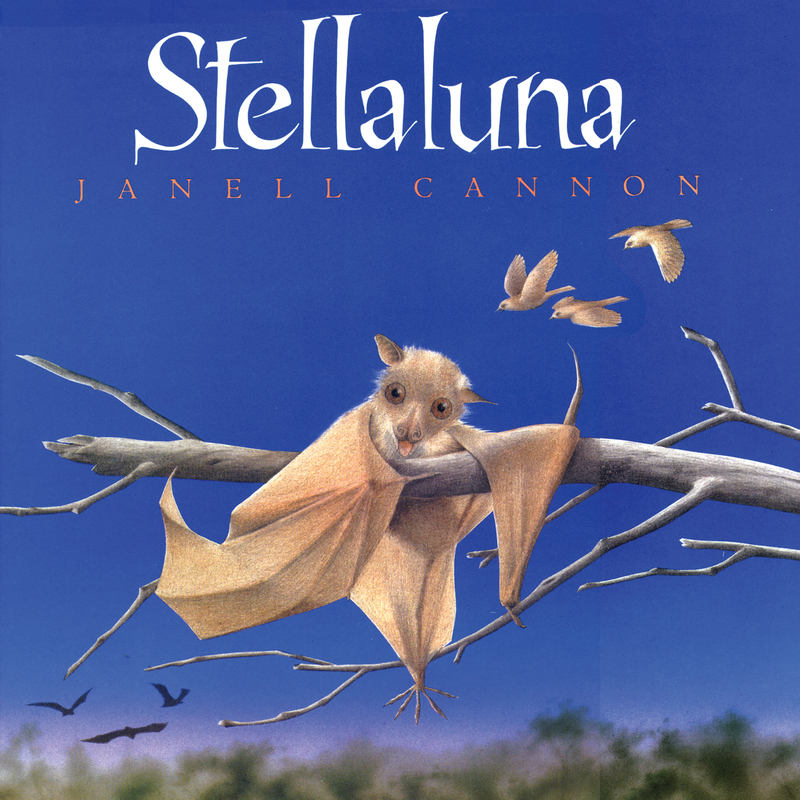 Eventually, she is reunited with her bat family, but remains friends with her bird “siblings.” The final few pages have some educational notes about bat species. This book is apparently even more famous than I perceived. It has been made into a film, was featured on Reading Rainbow, and won a slew of awards. Not to mention, it has also been adapted into a puppet stage production. The author has written some other books, but none of them seemed familiar. This book was short but very cute. 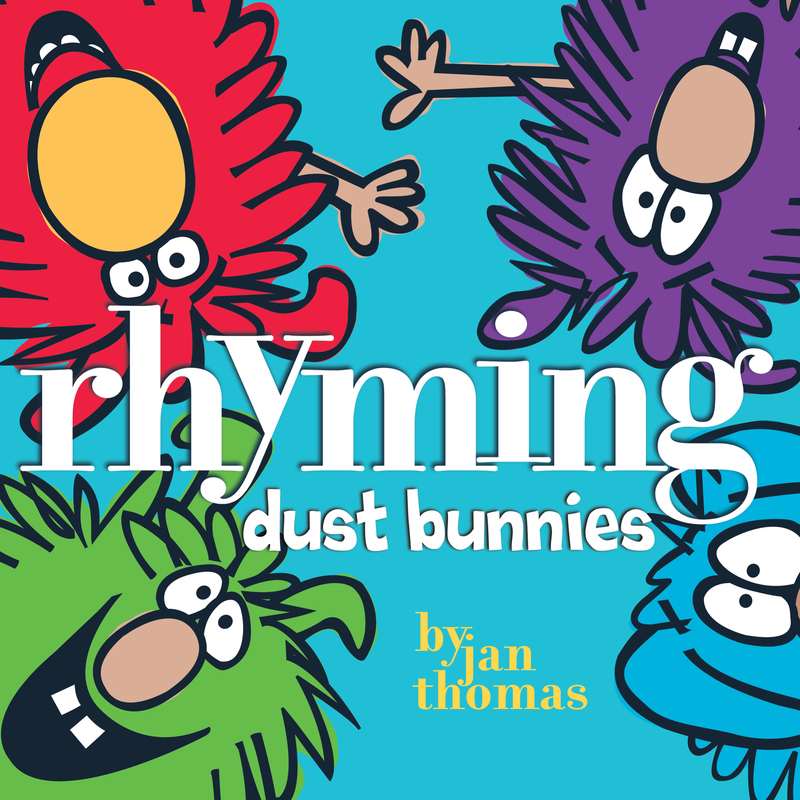 There are 4 dust bunnies in an array of colors, and they spout of rhyming words together, except one who isn’t shouting “look out!” They quickly dodge an incoming broom, but in the middle of another bout of rhyming action, they get sucked up into a vacuum cleaner. It is the perfect length for a preschooler’s attention span, and somewhat educational too. 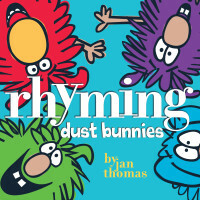 The author has written a sequel entitled Here Comes the Big Mean Dust Bunny! There is also a cute activity where kids can fill in the speech bubbles with that they think the dust bunnies might be saying. The School Library Journal article on the book includes pictures of most of it, and some people dressed up in costumes of the dust bunnies, so that’s new and different.